Real conversations that aren't coated by a virtual world. Let's talk about it all under the sun with no filters about our journey with Life. Life is like a Road trip, wouldn't you agree ? Let's talk like it's 1995! So join us! Dear God Would I live my life differently if I knew my expiration date? Dear God, Its 2019; now what? Dear God Do kids really say the darnest things? 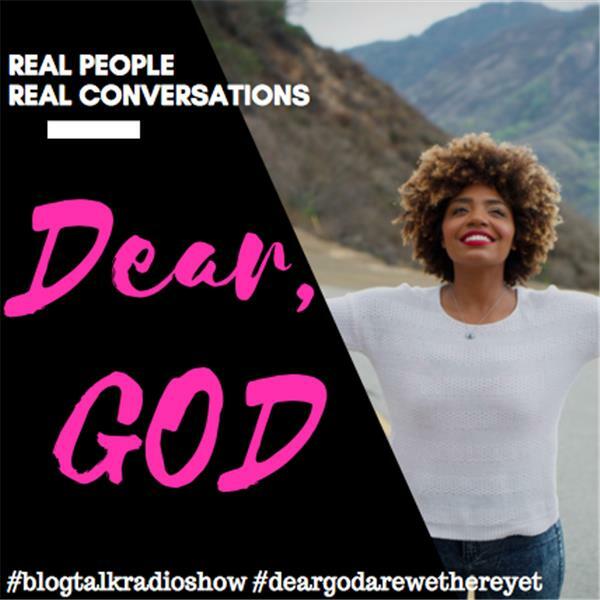 Dear God What can rejections teach us ? Dear God, How do I make the noise stop? Dear God, What's my social credit score? Dear God, Why are we afraid of Therapy? Dear God, Where are my people of color in History? Dear God Let's get Lost! Dear God Let's get Lost!Why not we all need to take a pause in life right?